» Prince Pickleball Paddles – The one secret you may not know! Prince Pickleball Paddles – The one secret you may not know! I’m still kind of shocked. I’m sitting here at my computer dumbfounded, impressed, puzzled, excited and very relieved! So why am I feeling all those things when we’re simply talking about Prince pickleball paddles? Well, I am dumbfounded because of how long it has taken Prince, the tennis giant, to enter the pickleball market. I’m impressed because their entrance into this market is unorthodox, strategic and brilliant all at once. I’m puzzled because after reading how Prince plans on making its mark in pickleball, I’m curious to know if other tennis manufacturers are taking notice or better yet, will follow suite. I’m excited and relieved because based on Prince’s racquet sport pedigree and who they’ve decided to partner with, you can’t help but wonder how big of an impact (a positive one) this will have on the sport of pickleball! Before we get into the specifics of the bomb that Prince dropped on the pickleball community, let’s quickly highlight the two Prince pickleball paddles that are currently out, and let you know which one we’re the most excited about. Currently available are the Prince Response Pro and Prince Spectrum Pro. 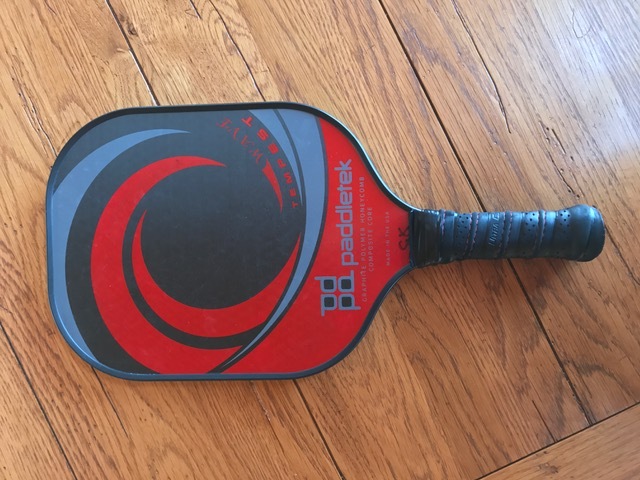 We like the Response Pro the best because of it’s tennis like handle and it’s ability to deliver power and spin across the entire face of the paddle. Not to mention pro player Simone Jardim used it to win three gold medals during three events at this year’s US Open! That’s a triple crown folks. Pro tested. Pro approved. If it’s good enough for Simone, it’s good enough for us! Related: Did you know that one kind of pickleball paddle leads to more miss-hits than any other? What I learned from 3 Pros and the owner of a major pickleball paddle company will surprise you! *It should be noted that the only real difference between these paddles is the head and handle length. The Response has a slightly longer handle (5.5”) and consequently a shorter head and the Spectrum gives players a shorter handle (5.0”) and slightly longer head. Due to USAPA paddle length restrictions, you cannot have both a longer handle and longer head. With Wilson, and more recently HEAD entering the game of pickleball, it was only a matter of time before other tennis giants like Prince joined the fold. It makes sense that these racquet sport companies would cash in on what they’ve learned from tennis, racquetball and squash to advance the game of pickleball with their knowledge. Wilson has opted to go the traditional “affordable” route while HEAD decided to offer a low, medium and upper medium tier option while changing the paddle face a bit. A bold move, and they’re making waves. But Prince has decided to yell “CANNONBALL” and jump into the pool while making a huge splash! In short, they’re poised to put some paddle makers on their heels and force them to re-evaluate. In our opinion, this can only help grow the game. Competition is a good thing. It leads to innovation and improvement. We suspect Prince’s entry into pickleball will do just that. So, how’d they do it? Why are Prince’s paddle so different? Well, the paddles themselves are different and we’ll get to that shortly but let’s touch on why Prince decided to “partner” versus manufacture entirely themselves. Yes, I said partner. You see, these Prince paddles are actually designed and manufactured by Paddletek! Yes Paddletek, the Michigan based paddle giant known for the Bantam EX-L and Tempest Wave! The Bantam TS-5 is one of Paddletek's most popular paddles. At first glance, it may look like Prince just decided to shlep their work off onto a smaller, more dedicated pickleball company. But we assure, that is NOT what is happening here. The story goes much deeper than that. Prince could have taken the easy way out and decided to design their own paddles, their own way. But Prince is known for its innovation, and simply taking a “me too” approach is NOT innovative. Prince knows who they are as a company, they have a strong identity. The knew they were tennis experts, not pickleball experts. But from afar, they could see that Paddletek was very much a pickleball paddle company, and a damn good one at that. So, instead of pretending to be something they’re not, Prince did their homework on Paddletek and soon found out that if they could strike a deal, combine their expertise, innovation and a true advancement in pickleball paddles was possible. And thus Prince pickleball paddles were born! Prince and Paddletek- A Doubles Team for the Ages! When it comes to the Response Pro and Spectrum Pro, what does each company bring to the table? Great question. Let’s answer it. There are two things that make this paddle truly special - one unique design element from Prince, and one from Paddletek. The first thing you’ll notice from either of these Prince pickleball paddles, is the shape. They’re round. More round than your traditional pickleball paddle. This element comes directly from Prince. The shape of the Response and Spectrum are where Prince comes to the table and flexes it’s racquet sport muscle. Prince took this shape from it’s tennis racquets….in fact ALL tennis racquets. Pickleball paddles now share the same shape as tennis racquets- thanks to Prince! Take a look at any tennis racquet these days and you’ll see this familiar rounded oval like shape. It’s been that way for a long time. Guess which tennis company was instrumental in advancing tennis racquet design and bringing this rounded shape to tennis players everywhere? Yup, you guessed it, Prince! And they’re poised to do the same thing with pickleball! So why did Prince push so hard for round racquets? Well, I did a little research it’s actually simple science. It helps spread out or round out the sweet spot. People don’t “miss hit” in the center of the paddle or racquet. They miss hit all over. Having a rounded racquet, deflects the sweet spot outward, reducing the errors associated with miss hits dramatically! Simple huh? In fact, Prince guarantees no dead spots for five years! Having a big sweet spot helps, and many paddles claim to have big ones simply based on head size. But the Prince Response and Spectrum truly have a gargantuan sweet spot! Some claim it’s the biggest ever seen. If Prince can change the way we look at and play with tennis racquets, then they can apply that same approach to pickleball. And that’s just what they’re doing! In fact, I think they’re poised to change the paddle market significantly through 2018 and into 2019. They’re onto something big here! Now, where does Paddletek come into play? Well, this is the second special aspect of this paddle. It’s what’s inside this uniquely shaped paddle. It’s an advanced polymer core beyond anything I’ve ever read about. It’s Paddletek’s most sophisticated polymer core EVER! Prince knows shape. Paddletek, like their name implies, knows paddle cores and paddle technology like no other paddle company. This beast of a paddle core is where Paddletek flexes it’s design muscle! Paddletek's BEST paddle - the Tempest Wave, now has some serious competition in the design room! Probably the most impressive part is that this extra thick core reacts to and compliments the style of play or swing you put onto the ball. Swing big, and the Progressive Core Technology absorbs the power and propels is back off the paddle to deliver lightning like response. The thicker the core, the bigger the effect. However, it’s not just a power paddle. Swing soft and the core reacts appropriately and gives you the touch you’re looking for at the net. It should noted that since these paddles are brand new, we’ve not had the opportunity to play with them yet. However, I’ve canvased the internet to get real player feedback from 3.5 skill level players all the way to 5.0 players like Simone Jardim. And the one consistent bit of feedback I saw was how impressed players were with the spin this paddle gives you. Which, makes sense because of the paddle surface Paddletek has implemented. Both the Response Pro and Spectrum Pro are textured fiberglass composite paddles so they are designed to grab the ball more than a lighter, smoother surfaced graphite paddle. Another huge bit of feedback I found was from an interview Simone did with Jack Bandel, who reviews paddles on YouTube. She told him the Response Pro allowed her to hit so many “passing shots” that it helped her win more points that way. 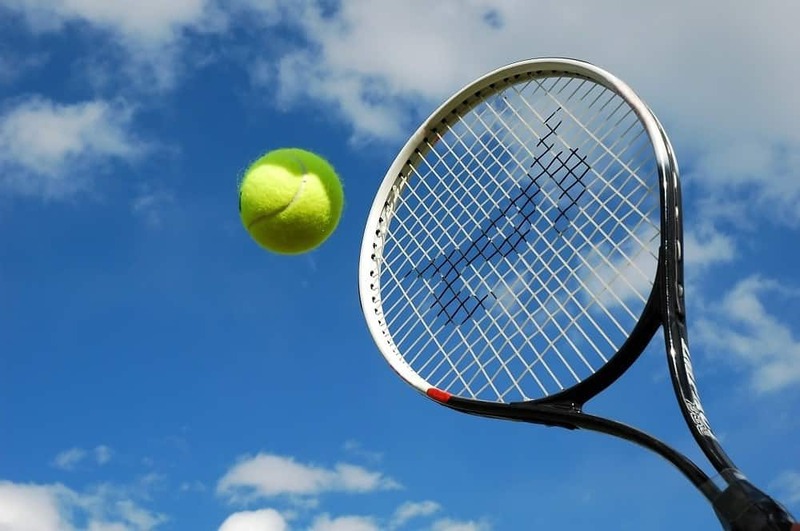 Passing shots are referenced in tennis all the time, when a shot blows by your opponent on the other side of the court that they simply can't return. Simone explains to Jack that she had more passing shots with the Prince Response Pro versus having to dig more to keep points alive with her previous paddle. She was able to be the aggressor and play offensively versus having to react and play defensively. Essentially she was able to stay in control of more points and win them. That’s what we all desire and strive for, and it’s very cool to hear that a paddle, designed by two racquet sport giants, was able to give that to a pro player! Imagine what it can do for you and I? As we’ve said, both paddles are made of composite material, so they weigh a little more than your standard graphite paddle. But, Prince has given us options. Despite the composite material, Prince allows the player to choose between a “light” and a “standard” version. The light option comes in a 7.1 to 7.6 ounces while the standard options weighs in at 7.7 to 8.1 ounces. If you’re a seasoned player, who has the mechanics for touch and dinking - we’d recommend the standard version. The extra weight won’t be difficult for 4.0 players and above to wrestle with. If you’re a beginner player of the 3.5 variety, we’d recommend starting with the lighter version first and getting a feel for it before using the heavier "standard" paddle that produces more power. Prince also offers two variations on the grip as well. This is perfect for players coming from tennis. Tennis players transitioning over to pickleball will feel at home with either one of these paddles in their hand. You get to select a 4 ⅛” grip (great for female players) or a 4 ⅜” grip for those wanting a thicker “tennis like” feel. In our opinion, the thicker tennis grip combined with the rounder, wider paddle face make this one of the best pickleball paddles for tennis players! We hope you’ve enjoyed our analysis and breakdown of Prince’s first two pickleball paddles and the story behind their arrival. As you can tell, we’re excited about the tennis inspired paddle shape and cannot wait to get our hands on them. If you’re a former tennis player and you’ve really started falling in love with pickleball, these Prince paddles are a no brainer when it comes time to upgrade your paddle. Every paddle needs a break in period to see how it feels and plays in your own hands, so make sure you give it time. 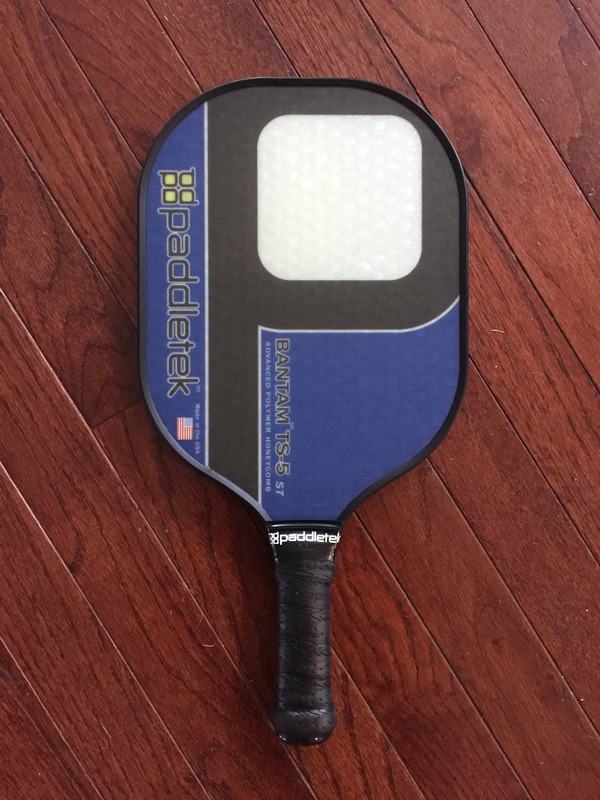 Overall, these paddles are a great addition to the pickleball market and we look forward to what Prince does next in pickleball! Thanks for reading. For the full interview where Simone Jardim gives all her thoughts on Prince pickleball paddles, visit Jack Bandel's YouTube page here. Great interview Jack!